What is a virtual card services API? A virtual card services API can help your company to prevent fraud so that you can avoid payments fraud. This is an application programming interface that can be integrated with your software, allowing you to create virtual cards of all types instantly. Payments fraud is a serious problem affecting businesses and consumers. According to JP Morgan’s 2015 Payments Fraud and Control Survey, 62 percent of the businesses that were surveyed reported that they were the victims of payments fraud in 2014. Of those, 77 percent were the victims of check fraud, and 34 percent were the victims of credit and debit card fraud. How does a virtual card services API work? A virtual card services API is an application programming interface that your existing applications can interact with to send and receive data on virtual cards. After it has been implemented, you can use it to generate as many virtual card numbers as you need. 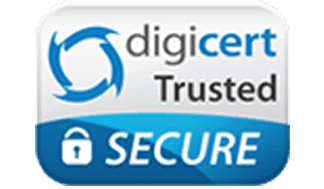 These numbers allow you to make purchases online or over the telephone without exposing your business’s information or your accounts. While the numbers will be associated with your account, you can set them to expire as soon as a purchase is made or turn them off in between transactions. Who uses virtual card service APIs? While consumers benefit from using virtual cards to make purchases securely online, they generally do not need to connect to an API and write a custom application. They can instead simply get a random number from their bank or card issuer as a courtesy. Businesses may benefit from having their own virtual card services API, however. Businesses complete many more transactions than consumers, and many of those are completed remotely. Businesses may also sometimes deal with new suppliers or vendors, and they may stand to lose a substantial amount of money if hackers are able to access their accounts. Having a card application programming interface can allow businesses to generate cards on an as-needed basis to protect themselves during the payments process. Why use a virtual card services API? Using a virtual card services API can help your company to prevent fraud and allow you to instantly generate the number and types of cards that you need to complete different functions. It can allow you to have greater control over your spending, track expenses more easily, and automate certain functions of your accounts payable department. You can add tags to transactions so that they can be categorized correctly and organized in a manner that they can easily be found. These functions may make audits go more smoothly and help your accountant when it is time to complete your taxes. Connecting to the API to your own applications and generating random virtual numbers can give you greater control over the spending that happens at your business. Using virtual numbers to make payments can allow your business to end its reliance on commercial checks and limit your employees’ ability to access your money. By generating virtual numbers, you can prevent internal and external fraud. The numbers will not be able to be used to withdraw money and will not be traceable back to your business or your account. You can also restrict the cards to purchases from your preferred suppliers and vendors. It is possible for you to create custom accounts payable workflows with the cards that you generate. You can assign different numbers to different departments to group payments by the department. You can also assign numbers to high-volume suppliers to automate invoice processing. This can also allow you to save time that might otherwise be spent on soft costs involved with processing documents and entering information while allowing you to track expenses in multiple ways. Where can I find a virtual card services API? To find a virtual card services API, you can investigate different companies that offer them by researching online. It is a good idea for you to read articles about different card issuers and what they offer so that you can familiarize yourself with how the application programming interface for virtual numbers works. Reading articles and reviews can also help you to understand the different types of features that you might benefit from with the service. You should also evaluate costs, spending limits per number that might be set by the issuing bank or card company, and other features. What do the best card service APIs offer? The best virtual card services APIs offer easy and fast integration with your company’s applications with full implementation possible within as little as one day, this of course varies depending on how in depth your unique business use case is and what your code base is like. An API should provide everything you need to get started in a matter of minutes. You should also be able to use your card service API to create cards for multiple purposes. The best card services APIs should allow you to do more than simply generate numbers. They should let you offer rebates, discounts, and incentives. They should let you control how much can be spent on each card that you generate and determine where they can be used. Bento for Business offers an application programming interface for virtual numbers and other functions that has excellent expense controls and tracking features. You can turn cards off or on remotely, check your balances, set spending limits, and restrict where and when the cards can be used. For example, if you have a pharmaceutical sales rep named Sally who needs to travel to give a presentation about a new prescription drug, you can give her a card that she can use to pay for her air travel and hotel lodgings at the conference she will be attending. She will not be able to use the number to purchase other items from unauthorized merchants while she is there. Bento for Business is highly regarded as a leader in the payments solutions industry for businesses of all sizes. The company offers the Bento for Business Visa debit cards and powerful application programming interfaces to companies so that they can prevent fraud and gain better control over their expenses. 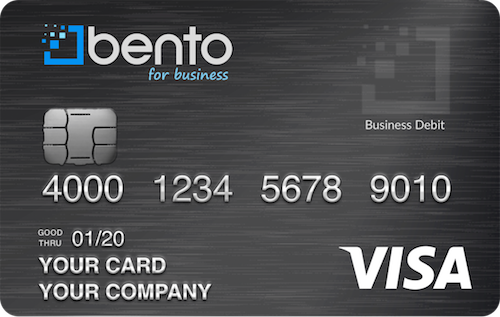 Bento offers a free 60-day trial so that businesses can try the cards before they make purchasing decisions. Businesses can get up to 10 cards for $29 per month. Since the cards are not credit cards, you will not need to submit to a credit check. To learn more about the debit card solutions that Bento offers, request a demo or call 866.220.8455.